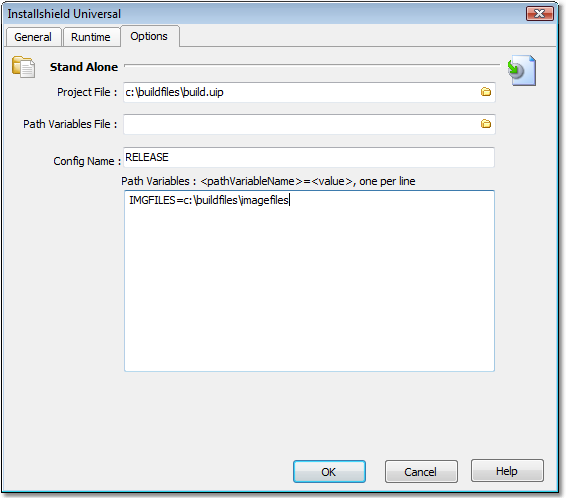 The InstallShield Universal action enables you to automate the process of building InstallShield Universal installations. Config Name - enter the configuration you want to run. The configurations are defined in your project file.